Still a little to wet around auburn to get the mowers out so we did a little fall pinestraw. 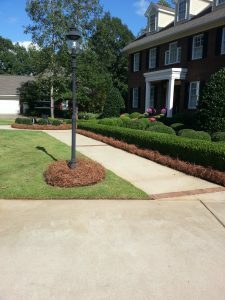 Nobody does it like Dalmatian Lawn and Landscape. "You can spot the difference!"